Limit 1 per person and 1 per table. Valid toward veggie items. New customers only. Dine-in only. Promotional value expires 365 days after purchase. Keep your palate red hot with this deal for 50% off vegetarian fare from Pilsen Red Hots ($16 value). 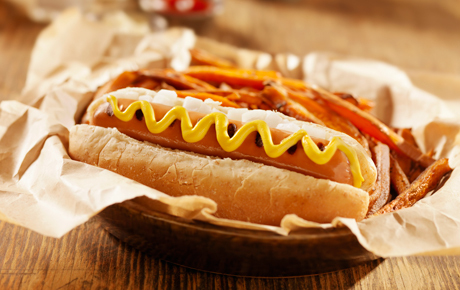 Select from a wide assortment of vegetarian favorites including hot dogs and veggie burgers. Recently opened, Pilsen Red Hots serves fresh Chicago-style hot dogs that are made to perfection. The staff is passionate about cooking and provides delicious concoctions. Along with a variety of vegetarian options, they offer a large selection of items for meat lovers, such as the chicken Philly sandwich. Pilsen Red Hots also boasts its own bottled hot sauce, so you can take home the red-hot flavor and enjoy it any time.